Hello everyone!! Guess what, I am back and ready to blog! I miss blogging and I can't wait to get back into it! Currently I am working on getting back into the swing of things as well as dig through my vacation pictures and videos. Originally I was going to do a vacation recap today, but I still haven't gotten my pictures organized so I will be writing that this Sunday! Instead, today I will be showing you an outfit more elegant than usual. eDressy contacted me last month asking if I would like to partner up with them and I quickly said yes! 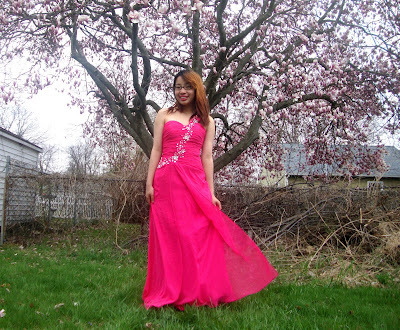 I was looking for a prom dress at that time and Edressy.com had such an amazing selection of dresses not only for prom, but for other events such as weddings and parties as well. You can even have your dress custom made which I chose to do! Custom making a dress ensures a perfect fit and that is something I am always concerned about. I hate it when the chest area is too big on me and I have too constantly pull my dress up or when the hips are too small and I feel like I am suffocating in my dress. With custom made dresses, this is something I do not have to worry about! 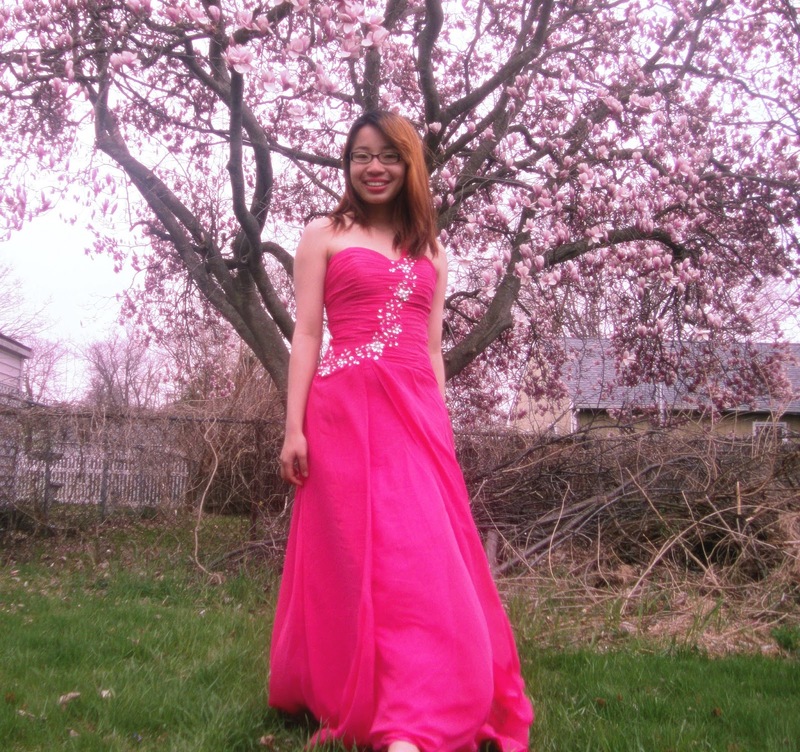 The dress I chose to get was the One Shoulder Chiffon Evening Dress With Beading in the color Fuchsia. I love the one shoulder neckline. It's so unique and a different option than your typical sweetheart or halter neckline. The beads and sequins on this dress are so pretty!! They add instant glam to the dress and make me feel like a princess. 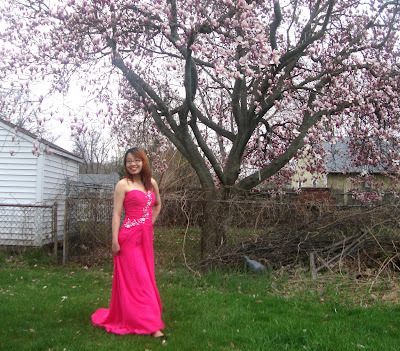 I also adore the color of this dress. 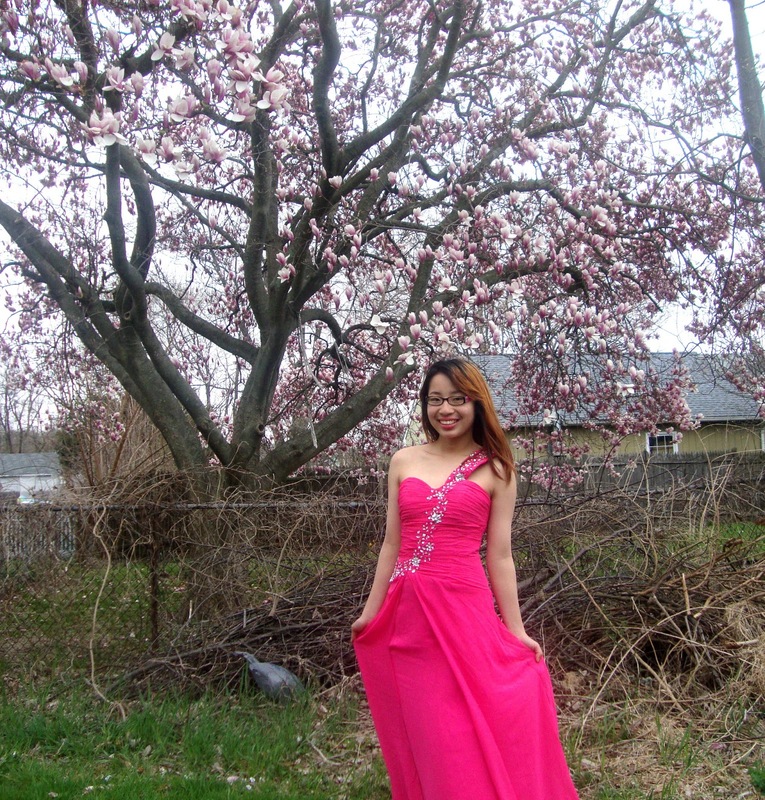 the bright pink color reminded me a lot of cherry blossoms and lucky for me, my neighbor has a cherry blossom tree that is in full bloom right now! I took advantage of that fact and went out to take pictures by it! 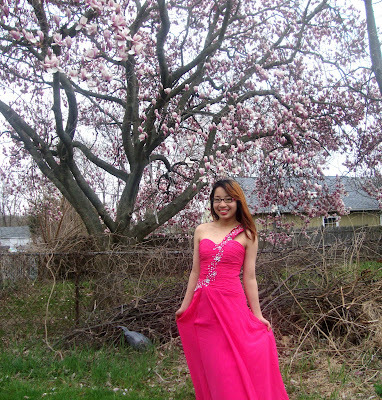 With my dress, I didn't bother much to add accessories. I found the dress to be quite attention grabbing by itself and I really wanted the embellishments on the dress to stand out. For shoes, I just tossed on a pair of flats with a slight heel to it. I haven't had the time to go out and get prom shoes, but I can def. envision myself wearing a pair of pink colored heels with this beautiful dress! Once again, I would like to give a huge thank you to eDressy for sending this lovely dress to me! The fit is perfect and flatters my body amazingly! The color of the dress is true to online pictures and the prices are pretty fair! 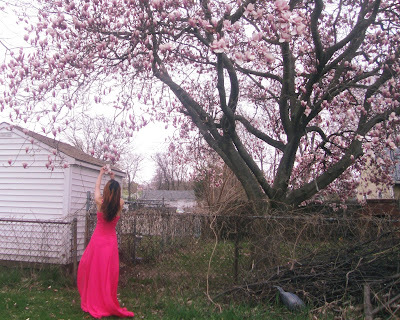 Do you have cherry blossoms where you live? If so, have they bloomed yet? You look lovely! That dress is so pretty!! 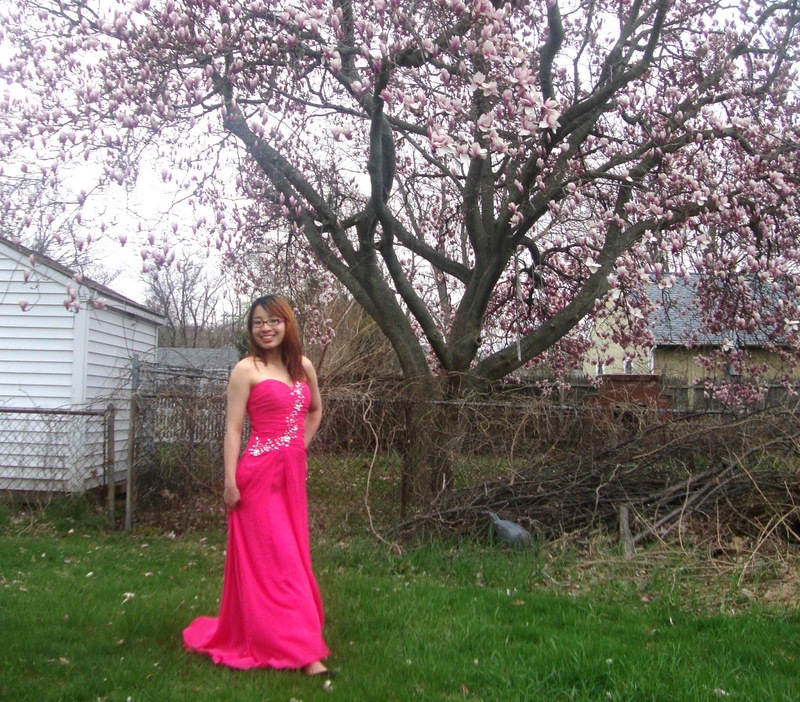 I miss getting dolled up for prom and such. I always wanted to get something custom. Goregous! aww thank you!! Getting dolled up has to be the best part in my opinion! I love the photos you took! BTW, great blog, would you like to follow each other? aww thanks!! 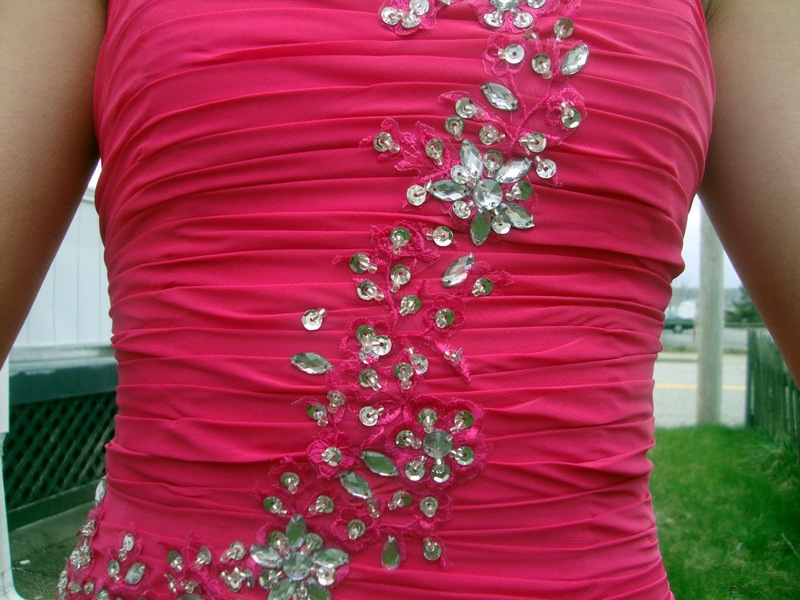 Those embellishments are to die for and sure! Spring came early this year for us, so tree blossoms are gone and showing its fruit. 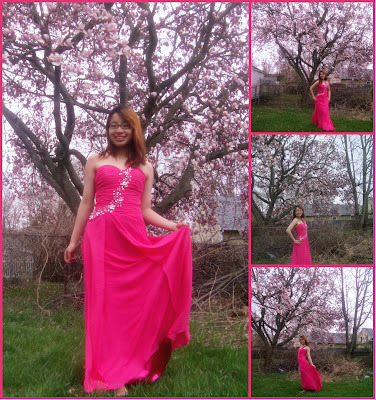 the dress looks amazing on you...im so happy to hear that you got a dress you hand picked and customized yourself:). ohh you are lucky! Spring is a bit late and I love cherry blossoms! aww thanks!! I was really excited to hear it was customized! Pictures are worth a thousand words haha so I think I will understand your blog fine! Thank you! I do love the color! thanks and it's mine too! Wow! This really is a princess gown! I hope you'll have a lot of fun wearing it! Thanks and I bet will! Thank you! I do love this color!